Software News tagged "Conferences and Exhibitions"
Amazon seller tools company Seller Labs is holding their next Resonate seller conference on May 15-16 in Atlanta, Georgia. Resonate will be at Terminus 330, near Atlanta's Centennial Olympic Park. Discounted early-bird tickets are currently available. ChannelAdvisor's next annual Catalyst Europe conference will be held in Manchester, England on 16 May 2017. Catalyst Europe will offer networking opportunities with industry peers, and presentations from industry experts, to inform retailers and brands about the future of ecommerce and how they can improve their online businesses. "It's becoming increasingly complex for retailers and branded manufacturers to stay ahead of the latest e-commerce trends. The industry is constantly evolving and the pace of change is unrelenting. Our aim with Catalyst is to help both retailers and brands prepare for upcoming trends and successfully navigate their e-commerce journey," said Mike Shapaker, managing director, EMEA at ChannelAdvisor. "Catalyst Europe 2017 offers thought-provoking presentations, educational workshops, access to the industry's top channels and unparalleled networking opportunities." Understanding the e-commerce trends of tomorrow. Creating the optimal customer experience from brand to retailer. Expanding internationally through cross-border trade. Reaching customers on mobile, social and next-generation devices. ChannelAdvisor is offering an early-bird registration rate of £99 until 16 February 2017. More information and registration. Ecommerce software provider ChannelAdvisor Marketplaces has announced its next ecommerce event for the automotive industry. AutoCommerce 2017 will be held on March 6th in Nashville, TN, in conjunction with Catalyst Americas 2017. The event will focus on ecommerce opportunities and best practices for automotive and powersports retailers. "ChannelAdvisor is committed to providing automotive and powersports retailers with innovative new tools and practices to help them sell in a competitive e-commerce landscape," said Curt McDowell, ChannelAdvisor automotive business development manager. "For the sixth consecutive year, AutoCommerce attendees will get a chance to learn from e-commerce and automotive experts and will leave with tangible tips to help them increase sales. The event also features a fantastic opportunity to network with other automotive retailers and industry experts." Past AutoCommerce speakers have included Specialty Equipment Market Association (SEMA) President and CEO Chris Kersting, along with leaders from Sears.com, eBay Motors, Amazon, and Newegg. The registration fee to attend AutoCommerce is $99. More information and registration. Multichannel software provider Linnworks has released the videos from their recent Linn Academy event in Manchester, UK. There are 14 videos and over 10 hours of footage, compiled into a YouTube playlist. Linn Systems are preparing for Linn Academy 2017, and sellers interested in attending can register their interest now. Feed management technology vendor Lengow is holding its annual Ecommerce Day event in Paris on 27th September, 2016. Lengow Ecommerce Day enables online retailers and partners to meet and interact with industry experts on ecommerce topics, trends and challenges facing the industry. Themes for 2016 include omni-channel, cross border, m-commerce, online payments, customer support, social commerce, logistics and distribution. During the day, participants can follow a themed program of their choice, each program including plenary lectures, master classes, round tables and thematic workshops. Lengow is also organising the second edition of their Startup Spotlight Trophy, a competition open to all startups, both French and international. Last year the prize was won by Azetone. Ecommerce technology company ChannelAdvisor will hold their next European conference at The Savoy hotel in London on 20 April 2016. Catalyst Connect 2016 is a one-day event that offers brands, retailers and manufacturers the opportunity to hear from insightful speakers, connect with peers and keep a finger on the pulse of online retail. "Catalyst Connect is the evolution of our popular Catalyst Europe conference," said Zoe Ripley, international marketing director at ChannelAdvisor. "This year we've tailored the conference to help top brands, retailers and manufacturers thrive in the e-commerce landscape. The inspiring keynote presentations, educational workshops and invaluable networking opportunities at Catalyst Connect will help retailers, brands and manufacturers focus their online strategies, so they're equipped for tomorrow's e-commerce." ChannelAdvisor is currently offering an early bird Catalyst Connect registration rate of £99 until 31 January 2016. More information and registration. Ecommerce technology company ChannelAdvisor has announced the date and location for its 2016 Catalyst Americas conference. Catalyst Americas will take place on April 11 - 13, 2016 at the Aria Resort & Casino in Las Vegas. The theme is "E-Commerce: Future-Proofed" and it will offer networking, and presentations from experts about the future of ecommerce and how sellers can improve their businesses. "Changes in consumer behavior, innovations in product fulfillment and the emergence of new channels of demand are shaping the future of e-commerce," said David Spitz, ChannelAdvisor CEO. "The dynamic keynote presentations, educational breakout sessions and invaluable networking opportunities at Catalyst Americas 2016 will help retailers, brands and manufacturers focus their online strategies, so they're equipped for tomorrow's e-commerce." 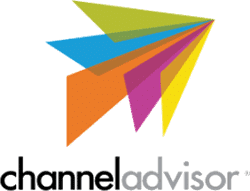 ChannelAdvisor is currently offering an early-bird registration rate of $975 until January 15, 2016, as well as discounted hotel rates at the luxurious Aria Resort & Casino. More information and registration. ChannelAdvisor will also host AutoCommerce 2016 immediately before the Catalyst Americas conference. AutoCommerce focuses exclusively on ecommerce opportunities and best practices for automotive and powersports retailers. The keynote from SEMA President and CEO Chris Kersting will be on "E-Commerce in the Motors P&A World," covering topics such as the obstacles automotive e-commerce businesses face and the critical components to online success. "Automotive e-commerce is growing more complex, and there's more competition than ever," said Mark Vandegrift, ChannelAdvisor director of business development. "AutoCommerce gives automotive and powersports retailers the opportunity to be on the cutting edge of what's shaping the industry. For the fifth consecutive year, AutoCommerce attendees will get to learn from and network with experts who have a deep understanding of e-commerce and a specialized knowledge of fitment and other elements exclusive to the industry." The registration fee for AutoCommerce is $99 as a stand-alone event, or it is included with registration to Catalyst Americas 2016. Multi-channel ecommerce software company plentymarkets are holding their annual sellers' conference on 19-20 February 2016 in Kassel, Germany. The event caters to newcomers, insiders and "ecommerce rockstars", says the company. The 2016 congress will be larger than ever before, and plentymarkets will unveil brand-new features of their software as well as hosting ecommerce experts, networking events and entertainment at the Kongress Palais in Kassel. This year's ChannelAdvisor user conference will be held on October 7th near the company's headquarters in North Carolina. The ChannelAdvisor user conference differs from the company's better known Catalyst events, focusing on practical ways to use the ChannelAdvisor platform. The first user conference took place in October 2013 and 100% of attendees said they'd return if the conference was held again. New ChannelAdvisor users have the most to gain from attending, and the conference features new content and more hands-on exercises than before. Attendees can learn tips and tricks, and consult with ChannelAdvisor experts in an "Ask the Expert" room. Ecommerce feed management technology company Lengow is hosting a one-day ecommerce conference in Paris this June. The third annual Lengow Ecommerce Day will welcome ecommerce professionals from around the world to discuss issues relating to cross border trade, marketplaces and ecommerce. Lengow will also be running a startup competition for the most innovative ecommerce startups. International speakers on cross border ecommerce will include Shaoming Yang, European Head of Alibaba's Tmall Global, and Pavel Aleshin, CIO of the Russian comparison shopping site Yandex.Market. The Lengow Startup Spotlight Competition will recognise the most innovative and promising ecommerce startup at the event. Startups have until the 22nd April to enter and the top five will have the opportunity to pitch their company at the event, in front of an audience of over 700 ecommerce professionals and journalists. The UK's leading ecommerce exhibition, the Internet Retailing Expo (IRX), takes place on 25-26 March 2015 at the NEC in Birmingham. The exhibition, co-located with the eDelivery Expo (EDX), will focus on multichannel efficiency and online delivery, and promises to be bigger and better than ever before. Over 7,000 visitors are expected at the event. Presentations will be made by businesses including John Lewis, ao.com, made.com, Monsoon Accessorize, Selfridges, and Twitter, on topic such as cross-border trading, mobile integration and delivery. Special features will include The Digital High Street, showcasing innovative technologies that combine online and offline retail, a Digital Payments Village educating visitors about the payment methods available, and The Brands Direct Marketplace Theatre, where retailers, suppliers and marketplaces share their insights on marketplace selling. IRX 2015 will also include Chinese and Indian pavilions, and exhibitors from Brazil, North America and across Europe, alongside over 250 of the UK's leading multichannel suppliers. Mark Pigou, Founder of Internet Retailing Magazine & Events UK, said "With over 250 exhibitors showcasing the latest innovations that are driving revenue for retailers, as well as the leading names in the sector, both IRX and EDX offer visitors two days of education, networking and relationship building, all under one roof. We're looking forward to record numbers of visitors all wanting to learn how best to sell online." Ecommerce software supplier Monsoon Commerce's annual conference will include presentations from eBay and Amazon. MonCon 2015 will take place on March 16-18 at the Manchester Grand Hyatt in San Diego, CA, providing multi-channel retailers with three days of content, networking and training. The conference will also include dozens of breakout sessions to choose from and a full-day workshop for users of Monsoon Pro and Monsoon Stone Edge. The goal of MonCon is to connect retailers with the best in the industry to help them increase their revenue and improve their operational efficiency," said Tommaso Trionfi, CEO, Monsoon Commerce. "We have carefully devised a program with those goals in mind, from our lineup of eCommerce influencers speaking on the main stage to industry pros leading breakout sessions. There are so many exciting developments in the eCommerce industry, and we are thrilled to showcase them at MonCon as well as help our retailers best leverage them for success." The MonCon early bird conference registration rate of $345 is available until February 15, 2015. For more information visit moncon.monsooncommerce.com. ThinkGlobal has announced Alibaba.com as its diamond partner for the ThinkGlobal Retail 2015 event for online retailers to be held in Las Vegas, U.S.
ThinkGlobal Retail 2015 is an eCommerce Conference and Expo providing a platform to engage, share knowledge and build new relationships with industry leaders from around the world. Conference founder and CEO Phil Leahy said: "We are very happy to announce Alibaba.com as our diamond partner of ThinkGlobal Retail 2015. Alibaba.com is the leading eCommerce company who has enabled the success of millions of businesses around the world. We look forward to introducing Alibaba.com's tools to more businesses and helping them learn about global trade." The 2 day event will feature over 50 speakers in 3 streams of over 35 content sessions. Attendees will gain insights into global marketplaces, online retailing tools, social media and marketing. The new event follows the cancellation of the PeSA Internet Conference which was to be held in Las Vegas in 2014. Ecommerce marketing technology supplier Lengow has postponed its "Ecommerce Day" event in London which had been scheduled for 6th November, 2014. A spokesperson said they had problems with the event management company they were using, and had postponed the conference to "ensure that we deliver an excellent event with no compromises". ChannelAdvisor's annual Catalyst Europe conference will take place on Thursday 23 April 2015 at the London Hilton Metropole. The event will provide ecommerce networking opportunities and education, covering topics including marketplace expansion, international ecommerce, digital marketing, social engagement and more. 12 suppliers listed in the Web Retailer directory will be exhibiting at the eCommerce Expo in London on 1 - 2 October 2014. The exhibitors include: Avalara, Brightpearl, ChannelAdvisor, eSellerPro, James and James Fulfilment, Linnworks, M2E Pro, Neteven, plentymarkets, WebInterpret, Seller Dynamics and Veeqo. UK shipping software provider MetaPack will be running their annual Delivery Conference on 3 February 2015 in London. The conference brings together experts from retail, customer service and logistics. Speakers for 2015 are yet to be announced, but 2014 keynote speakers included senior executives from ASOS, Google, eBay, Tesco and Royal Mail. Ecommerce marketing technology supplier Lengow is holding an "Ecommerce Day" event in London on 6th November, 2014. The free event brings online retailers together to discuss developments and challenges within the industry including cross border selling, alternative distribution techniques, personalisation, customer relationships, and retargeting. The event will be held at the Royal Society of Chemistry in Piccadilly, from 9am until 12.30pm when there will be a networking cocktail lunch. The programme for the day is to be confirmed, but previous events have includes speakers from Google, Twitter, Microsoft, Exelate and Bazaarvoice. Tickets can be booked through Eventbrite. The Lengow Ecommerce Day is also held annually in Paris and São Paulo, Brazil. Ecommerce marketing solution Lengow is hosting a one-day conference in Paris on 3 April 2014. The Lengow Ecommerce Day is a free event for online retailers with round-table meetings, conferences and workshops. Presenters include representatives from Twitter, PriceMinister and Bazaarvoice. Workshops will be hosted by ecommerce experts from Mediabong, Skeelbox, eXelate and Ve Interactive. Ecommerce software supplier ChannelAdvisor has announced the agenda for its Catalyst Europe conference taking place on 10 April 2014 in London. The sessions will cover marketplaces, product data, advertising, cross-border trade, mobile shopping and image optimization. Ecommerce software supplier ChannelAdvisor has announced the agenda for its Catalyst Americas conference taking place in March 2014. "We are excited to reveal this year's Catalyst Americas agenda, which is jam-packed with sessions that will inform and inspire online retailers as they accelerate their online businesses in 2014," said ChannelAdvisor Chief Marketing Officer Suzanne Miglucci. "In addition to a robust agenda, Catalyst Americas offers unparalleled networking opportunities with the industry’s top influencers, as well as access to vital partners that online retailers need to be successful." The agenda consists of Fundamental, Expansion and Vision tracks, with sessions focusing on growth, marketing, fulfillment and consumer insight. The date in 2014 has been announced for ChannelAdvisor's flagship ecommerce event Catalyst Americas. The conference will take place at the Wynn resort, Las Vegas, on March 10-12, 2014. "Catalyst Americas 2014 is going to be bigger and better than ever before," said ChannelAdvisor CEO Scot Wingo. "We are excited to be returning to Las Vegas, this year at the world-class Wynn resort. Catalyst brings together the most innovative minds in e-commerce to generate great ideas and best practices to successfully navigate the ever-changing e-commerce landscape. It's also proven to be among the best networking events in the industry." An early bird rate of $800 is available until November 30, 2013. Ecommerce software provider eSellerPro will be visiting Manchester, Bristol and London on 17, 18 and 19 September respectively, with their UK Seller Series of day-long conferences. The events will reach out to eSellerPro sellers and provide tangible advice to help them improve their businesses. The day will start with the eSellerPro product roadmap, then cover ecommerce tips and information. Two ecommerce conferences are taking place this October in London, England - the Ecommerce Expo on 2-3 October and Internet Retailing on 16 October. Ecommerce Expo, a free show held at London Olympia, features 180 suppliers and over 50 educational sessions. Exhibitors listed in the Web Retailer directory include Alibaba.com, Brightpearl, ChannelAdvisor, iwoca, Linnworks and Remove the Background. The Internet Retailing Conference, held in Hammersmith, has a conference with three topic streams, an exhibition and workshops. For retailers, the exhibition and workshops are free and the full conference programme is £195 per delegate. ChannelAdvisor, Amazon Webstore and Merchantry will be exhibiting. Ecommerce software provider SellerExpress has announced the first in a series of multi-channel ecommerce seminars in Manchester on June 27, 2013. The conference is open to all retailers, and aims to help them improve sales on online channels including Amazon, eBay, Rakuten Play and their own web site. Sessions will be led by SellerExpress themselves, email marketing company iContact, delivery management service MetaPack, loans provider Kabbage and marketplace consultants KidsonTalks. PeSA (Professional eBay and ecommerce Sellers' Alliance) will be holding its annual Australian conference on May 29-31 in the Gold Coast Convention Centre. The conference includes over 70 speakers including representatives of ASOS, eBay, Australia Post, Terapeak, PayPal and others. Ecommerce software supplier ChannelAdvisor has announced the keynote speaker and workshop agenda for its European Catalyst conference, taking place on 3-4 June in London. The keynote speaker will be Amazon UK's Director of Merchant Services, Chris Poad, in a fireside chat alongside Ian Jindal, editor in chief of Internet Retailing. Chris will discuss the e-commerce trends, multichannel retailing and the latest Amazon changes. Catalyst Europe also boasts keynote presentations from eBay, Royal Mail, Amazon, Google, Charles Tyrwhitt and PWC. Marketplace sellers organisation SCOE is holding its annual conference from Thurs 30 May to Sat 1 June at the Seattle Airport Marriott hotel. The agenda is not final, but promises the latest information from Amazon, eBay, and Etsy sales experts; networking with other sellers; and the opportunity to meet platform integrators and service providers. The registration fee ranges from $494 for bookings up to 28 February, to $899 in the week of the conference. More information and registration. Ecommerce software supplier ChannelAdvisor will be exhibiting at vehicle trader conference Dealer Expo 2013. The event takes place on February 15-17 at the Indianapolis Convention Center and vehicle dealers can request to meet with ChannelAdvisor at the event. Ecommerce solutions supplier ChannelAdvisor will be holding a conference in Melbourne, Australia, on Wednesday, February 27. The half-day conference provides retailers with an opportunity to hear from ecommerce experts about the latest trends and solutions. "Insite Melbourne will be a beneficial networking and educational event for local retailers," said Mark Gray, managing director, APAC, ChannelAdvisor. "With significant changes taking place in e-commerce in 2013, such as the up-coming launch of Google Shopping in Australia, the conference will be a chance for online retailers to learn how to maximise the tools available to build a successful online presence." The conference will conclude with a networking event that will allow retailers to connect and speak with their peers and conference presenters. More information and registration. ChannelAdvisor's US and European conferences for 2013 were announced in January. Ecommerce software provider ChannelAdvisor has opened registration for their annual "Catalyst" conferences. Catalyst Europe will take place on 3-4 June in London, while Catalyst Americas is scheduled for April 29 - May 1 in Las Vegas. Speakers have not yet been confirmed. Customer support solution for eBay sellers ReplyManager is sponsoring the Internet Commerce Entrepreneurs (I.C.E.) group's first conference in Atlanta, Georgia, on October 5-6. "This year’s conference is particularly important," said conference co-organizer and CEO of ColderICE, John Lawson. "As advances in eCommerce and online marketplaces rocket forward, online retailers are on the threshold of phenomenal growth and even traditional retail businesses are seeking ways to expand and increase their bottom line via the internet." UK Ecommerce software provider eSellerPro is holding its annual conference this month at the Williams F1 Conference Centre in Oxfordshire. The agenda includes updates from the eSellerPro team, then sessions on cross-border selling, mobile commerce, social marketing, ecommerce tips, and panel discussions. Marketplace management software provider SellerExpress will be exhibiting at the Autumn Fair buying show held on 2-5 September in Birmingham, UK. There will be demonstrations of the software, and a discounted rate will be offered to new subscribers. There are two major ecommerce exhibitions in London in October 2012 - Internet Retailing and the eCommerce Expo. eCommerce Expo is taking place at Olympia on 2-3 October, then Internet Retailing is at the Hammersmith Novotel on 9 October. Companies with listings in the ASR directory at the eCommerce Expo include ChannelAdvisor, Dydacomp, Lengow and Linnworks. Both conferences have free entry to the main exhibition. The Professional eBay and Ecommerce Sellers Internet Conference (PeSA) Internet Conference will be held at the Gold Coast Convention & Exhibition Centre from the 30th May to 1st June 2012. Speakers will include Deborah Sharkey (Managing Director eBay Australia & New Zealand), John Lawson (AKA ColderIce), ChannelAdvisor, PayPal, Magento, and Frooition. ChannelAdvisor's annual Catalyst conference in London will include speakers from eBay, Google, Amazon and PwC. The conference will take place on 28-29 May 2012 at the Grange St Paul’s Hotel, London and the theme is "NewCommerce" - with topics including trends from social media and internationalisation, widespread tablet adoption to new smartphone capabilities,e-commerce, m-commerce, f-commerce and more. eCommerce technology company ChannelAdvisor have announced the UK and US dates for their annual Catalyst conference. The US Catalyst will be held in Las Vegas on April 16-18 - more information and registration. The UK Catalyst will be held in London on 28-29 May - more information and registration. UK-based eCommerce software company eSellerPro have laid out future plans at their customer conference, reports Tamebay. Key areas to be improved include support, software quality, communication, implementation and system performance. The company now has 85 employees, up from 36 one year ago. US sellers have been targeted by eSellerPro in the past, but the short-term focus will be UK retailers only. eCommerce software provider eSellerPro will be hosting a customer conference at Lord's Cricket Ground in London on 15 September 2011. Topics will include the eSellerPro product roadmap, a customer case study, and presentations from eBay, Amazon, Paypal and MoneyBookers. Dates for ChannelAdvisor's annual Insite conference have been published. Registration is now open for the eBay Developers Conference, to be held 8-10 June 2010 in San Jose, California. The price is $99 per attendee until April 23rd, or $49 for students. For more information on registration, schedule, and events go to www.ebay.com/devcon. eBay has announced new events called "eBay: On Location" to take place at four US cities over the course of 2010. ChannelAdvisor UK are holding their annual Catalyst conference on April 12-13 in London, while trader groups PeSA and ECMTA hold their joint eCommerce Summit on April 13-15 in Las Vegas. ChannelAdvisor's UK conference will include a keynote from CEO Scot Wingo, networking sessions, and presentations from eBay and Amazon UK teams as well as other industry leaders and leading retailers. More information and registration. PeSA and ECMTA's event will feature presentations from industry experts, educational sessions, and evening entertainment. More information and registration. The ECMTA (eCommerce Merchants Trade Association) and PESA (Professional eBay Sellers Alliance) eCommerce Summit will be held in Las Vegas from April 13-15, 2010. The educational conference will provide attendees with two days of learning and networking with their peers and industry thought leaders. Topics will include: Expanding International Sales, Search Engine Optimization, Social Marketing, Professional Website Makeover, Effective Email Marketing, Online Marketplaces, Managing Multi-Channel Sales, Efficient Product Sourcing and Maximizing Website Analytics. "We hosted a successful eCommerce Summit in Las Vegas at the Flamingo Hotel in 2004 and we are excited to return to the Flamingo Hotel once again with even more eCommerce partners and more educational sessions focused on our member's success," says Brandon Dupsky, Managing Director for eCommerce Merchants. "Merchants regularly tell me that our summits are the best and most informative conferences they attend each year." Insite is a full day educational conference focusing on industry trends, best practices and strategies for maximising profits across multiple channels including online marketplaces, comparison shopping and paid search. For more information and to register (£49) visit the Insite information website.